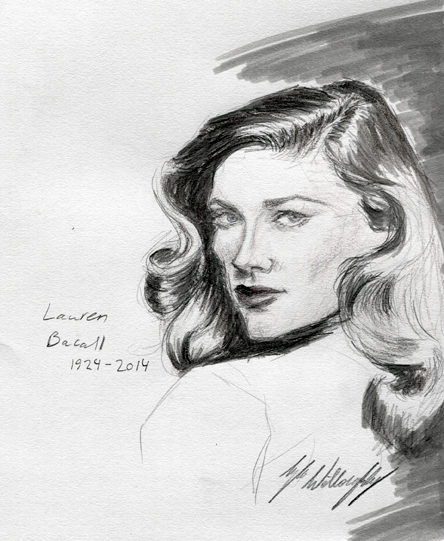 With the Robin Williams tragedy, I believe not many people noticed that Golden Age actress Lauren Bacall passed away as well. As one of my fashion icons I felt I had to do a quick sketch of her. She WORE those roller sets. The families of these individuals will be in my thoughts and prayers.